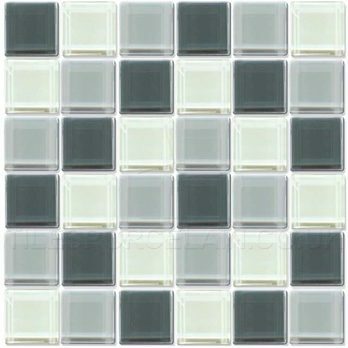 These glass square mosaics feature a mixture of white, light grey and dark grey colours. They provide a decorative appearance and can be incorporated to particularly good effect as part of trendy feature walls and border designs. 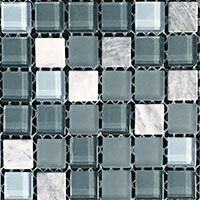 They work superbly within modern bathroom interiors with the glossy surface providing an easy surface to clean. 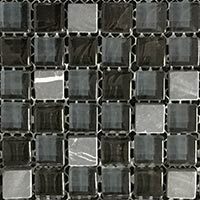 These glossy mosaics can be combined with popular colours like white or cream for an elegant appearance on walls. 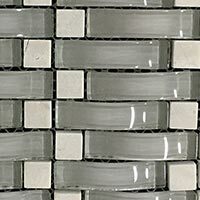 They are great choice for shower wall or sink surrounds. 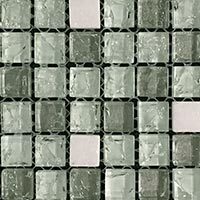 These tiles are supplied in 320x320mm sheets which can be adjusted accordingly as part of DIY projects. 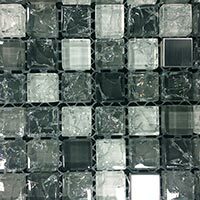 The flexible mesh ensures they can be applied to rounded surfaces.